Are you interested in bringing your middle school or high school class to watch the Los Angeles premier of Broadway musical, Allegiance? 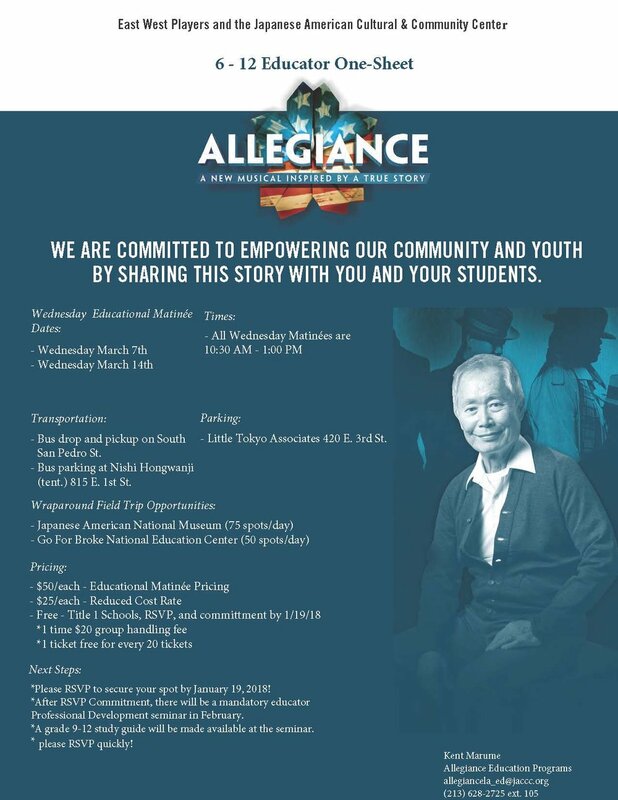 Allegiance is hosting two matinee shows on Wednesday March 7, 2018 and Wednesday March 14, 2018 at 10:30 AM. To learn more about these matinees, see the flyer below.